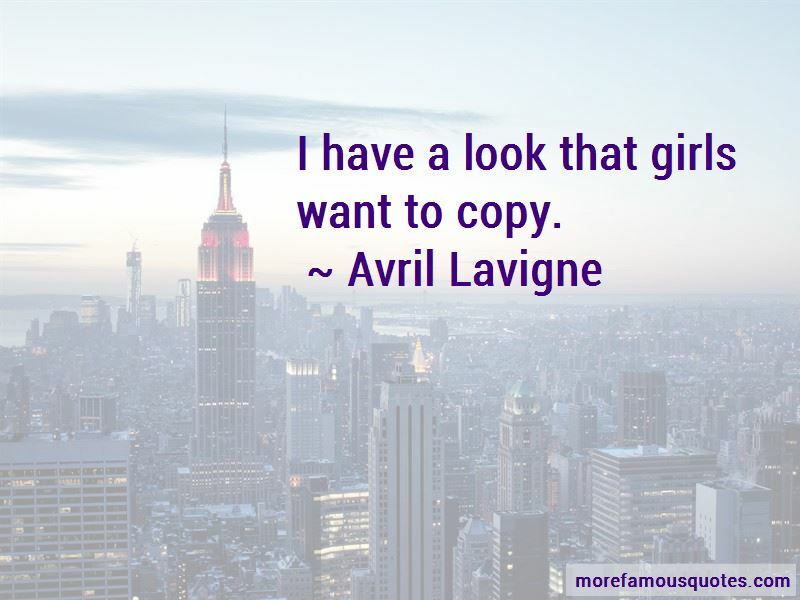 Enjoy the top 156 famous quotes, sayings and quotations by Avril Lavigne. My songs aren't bubble gum pop dance songs and I don't have background dancers on every single song. He was a punk, she did ballet. What more can I say. Let the rain falling on your face run into your eyes. Can you see the rainbow now through the stormy skies? There is more that meets the eye, I see the soul that is inside. I appreciate everything that I have, versus taking it for granted. I would describe my music and my sound as ... Avril Lavigne! It's easiest to write songs when I'm either really in love or really mad at a guy. It's just always best when I'm feeling superemotional. I wanna do a movie! Anything that I connect with, really. I read scripts, I've taken some acting lessons, and I feel like that's definitely my next goal. 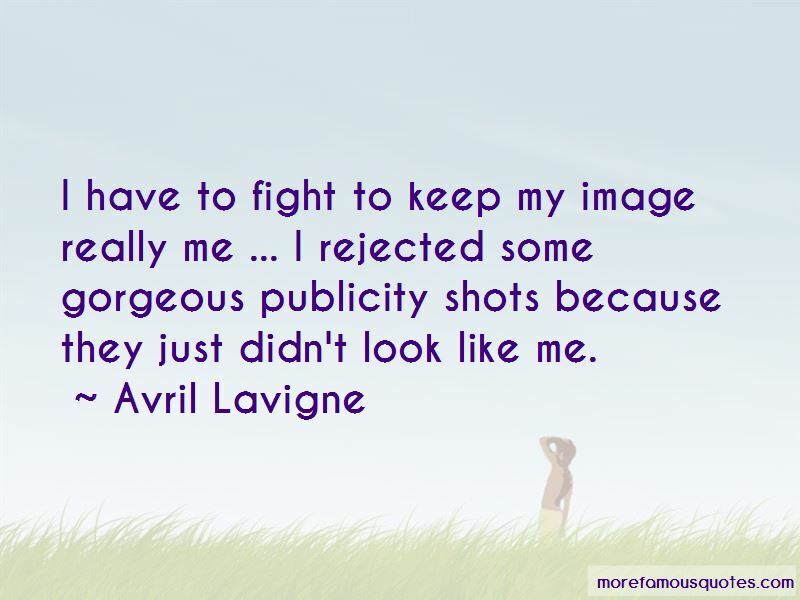 Want to see more pictures of Avril Lavigne quotes? 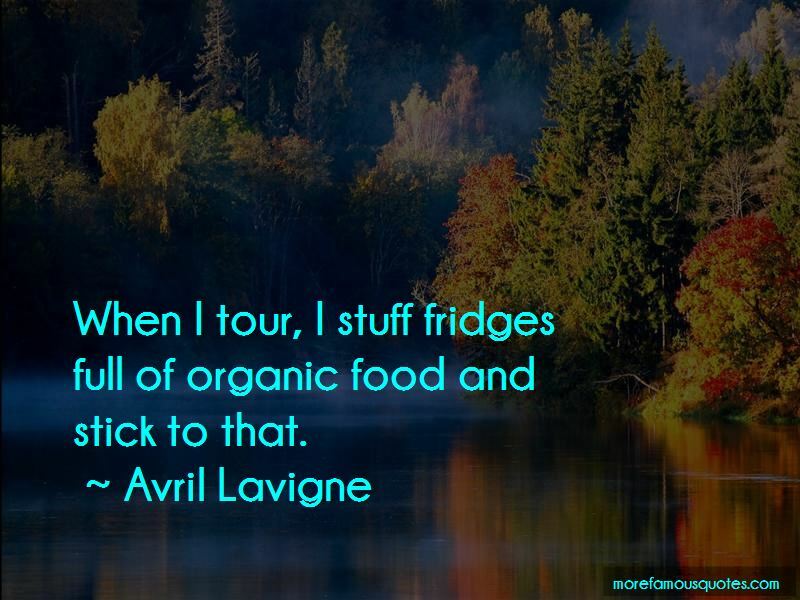 Click on image of Avril Lavigne quotes to view full size.